While it may seem like a no-brainer, it turns out that intellectual property is stolen more often than you may think. Knowing about the different types of patents or facts about copyright laws is useful, but safeguarding against infringement is the best step that business owners and entrepreneurs can take. Here are three little-known facts about intellectual property infringement and theft that you should keep in mind if you’re trying to protect your ideas. It’s more likely to happen in certain situations. Not all intellectual property infringement cases are created equally, and for some people it’s more likely to happen than to others. Those who work in information technology have the biggest risk of insider intellectual property theft at around 35% of all cases. The banking/finance and chemical sectors follow at 13% and 12% of all intellectual property theft cases respectively. So who are the most likely culprits? While trusted business partners account for around 17% of theft cases, according to research statistics, it’s actually former employees who are most likely to steal, as they represent about 21% of all cases. However, outsider theft still occurs, and it’s easy for competitors to think they can get away with infringing on others’ ideas. Intellectual property theft and copyright infringement are big business. Half of all exports from the United States are comprised of some form of intellectual property, whether they are inventions, designs, artistic works, or other items. As a result, these sales comprise about 40% of economic growth in the country. However, research indicates that around 9% of all products bought and sold worldwide violate the intellectual property rights of corporations, businessmen, and entrepreneurs from the United States. Much of that stolen intellectual property is found online, as around 25% of internet traffic is estimated to be used to consume some form of infringed content. There are ways to protect intellectual property if you know where to look. Small businesses and sole proprietors, especially, may have trouble defending themselves in the event that they have their work stolen. While patent wars rage on for large corporations, such as those who produce smartphones and other technological devices, small businesses may think they have no recourse against this theft. Fortunately, that’s not true. Working with an intellectual property lawyer can not only be a great first step in protecting inventions, service marks, or other creations, but it can also be a good defense in case a theft does occur. 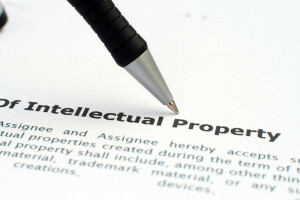 If you have questions about your intellectual property rights, make sure to discuss them with an attorney. It may seem as though you can never reclaim your creations from these thieves, but with persistence it is possible to take back control of your innovations.